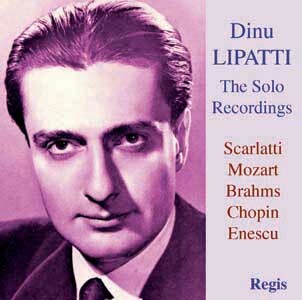 Lipatti’s recorded legacy is small. Regis presents a selection of his recordings for EMI which best display this iconic pianist’s artistic diversity. Included are sonatas by Scarlatti, Mozart, Chopin and his compatriot Enescu and extracts from Brahms’ Waltzes Op.39 with Nadia Boulanger.